Michael Brown’s shooting death at the hands of a police officer has brought national attention to the St. Louis suburb of Ferguson, Mo. FERGUSON, Mo. — Michael Brown, the unarmed black teenager who was killed by a police officer, sparking protests around the nation, was shot at least six times, including twice in the head, a preliminary private autopsy performed Sunday found. One of the bullets entered the top of Brown’s skull, suggesting his head was bent forward when it struck him and caused a fatal injury, according to Dr. Michael M. Baden, the former chief medical examiner for New York City, who flew to Missouri on Sunday at the family’s request to conduct the separate autopsy. It was likely the last of bullets to hit him, he said. Brown, 18, was also shot four times in the right arm, he said, adding that all the bullets were fired into his front. The bullets did not appear to have been shot from very close range because no gunshot powder was present on his body. However, that determination could change if it turns out that there is gunshot residue on Brown’s clothing, to which Baden did not have access. The preliminary autopsy results are the first time that some of the critical information resulting in Brown’s death has been made public. Thousands of protesters demanding information and justice for what was widely viewed as a reckless shooting took to the streets here in rallies that ranged from peaceful to violent. Brown died last week in a confrontation with a police officer in this suburb of St. Louis. The police department has come under harsh criticism for refusing to clarify the circumstances of the shooting and for responding to protests with military-style operational gear. Baden said that while Brown was shot at least six times, only three bullets were recovered from his body. But he has not yet seen the X-rays showing where the bullets were found, which would clarify the autopsy results. Nor has he had access to witness and police statements. Baden provided a diagram of the entry wounds, and noted that the six shots produced numerous wounds. Some of the bullets entered and exited several times, including one that left at least five wounds. He stressed that his information does not assign blame or justify the shooting. “We need more information; for example the police should be examining the automobile to see if there is gunshot residue in the police car,” he said. Baden, 80, is a well-known New York-based medical examiner, who is one of only about 400 board-certified forensic pathologists in the nation. He reviewed the autopsies of John F. Kennedy and the Rev. Martin Luther King Jr., and has performed more than 20,000 autopsies himself. He is best known for having hosted the HBO show “Autopsy,” but he rankles when he is called a “celebrity medical examiner,” saying that the vast majority of what he does has nothing to do with celebrities. Baden said that because of the tremendous attention to the case, he waived his $10,000 fee. Professor Shawn L. Parcells, a pathologist assistant based in Kansas, assisted Baden. “You do this for the families,” Parcells said. The two medical experts conducted the four-hour examination Sunday at the Austin A. Layne Mortuary in St. Louis. Benjamin L. Crump, a lawyer for Brown’s family who paid their travel expenses, hired them. A spokesman for the Ferguson Police Department, Tim Zoll, said the police had not seen a report of the autopsy and therefore had no comment on it. Baden said he consulted with the St. Louis County medical examiner before conducting the autopsy. One of the bullets shattered his right eye, traveled through his face, exited his jaw and re-entered his collarbone. The last two shots in the head would have stopped him in his tracks and were likely the last fired. Brown, he said, would not have survived the shooting even if he had been taken to a hospital right away. The autopsy indicated that he was otherwise healthy. He said it was unusual for the federal government to conduct a third autopsy, but dueling examinations often occur when there is so much distrust of the authorities. The county of St. Louis has conducted an autopsy, and the results have not yet been released. He stressed that his examination was not to determine whether the shooting was justified. No matter what conclusions can be drawn from Baden’s work, Brown’s death remains marked by shifting and contradictory accounts more than a week after it occurred. The shooting is under investigation by St. Louis County and by the FBI, working with the Justice Department’s civil rights division and Holder’s office. According to what has emerged so far, on Aug. 9, Brown, along with a companion, Dorian Johnson, was walking in the middle of Canfield Drive, a fistful of cigarillos in Brown’s hand, police say, which a videotape shows he stole from a liquor store on West Florissant Avenue. At 12:01 p.m., they were stopped by Darren Wilson, a police officer, who ordered them off the road and onto the sidewalk, Johnson, who is 22, later said. The police have said that what happened next was a physical struggle between Brown and Wilson that left Wilson with a swollen face. Johnson and others have said that it was a case of racial profiling and police aggression from a white officer toward a black man. 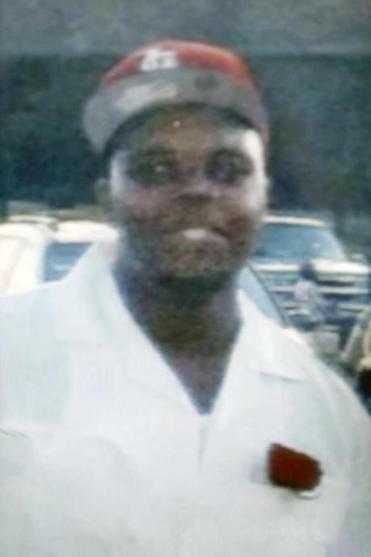 Within minutes, Brown, who was unarmed, was dead of gunshot wounds. The sequence of events provided by law enforcement officials places Brown and Johnson at Ferguson Market and Liquors, a store several blocks away on West Florissant Avenue, at about 11:50 a.m.
After leaving the store with the stolen cigarillos, the two walked north on West Florissant, a busy commercial thoroughfare, toward Canfield Drive, a clerk reported to police. Brown was 6-foot-4 and 292 pounds, though his family and friends described him as quiet and shy, a homebody who lived with his grandmother. On the day he died, he was wearing a St. Louis Cardinals baseball cap, long khaki shorts and flip-flops with yellow socks. It is about a 10-minute walk from Ferguson Market to the spot where Wilson, a 28-year-old officer with six years’ experience, approached Brown and Johnson. The police tell of an officer who was enforcing the minor violation of jaywalking, as Wilson and Johnson ignored the sidewalk and strolled down the middle of the road instead. At that point, the police said, Wilson left his vehicle and fatally shot Brown. “More than a few” shell casings were recovered from the scene. Johnson, who declined to be interviewed, has described the events differently in television interviews. While he and Brown walked, he said, Wilson stopped his vehicle and told them to get on the sidewalk. When they refused, Wilson slammed on his brakes and drove in reverse to get closer. When the officer opened his door, it hit Brown. With his left hand, Wilson reached out and grabbed Brown by the neck, Johnson said. A neighbor, Tiffany Mitchell, said in an interview with MSNBC that she heard tires squeal, then saw Brown and Wilson “wrestling” through the open car window. A shot went off from within the car, Johnson said, and the two began to run away from the officer. According to Mitchell, “The officer gets out of his vehicle,” she said, pursuing Brown, then continued to shoot. Johnson said that he hid behind a parked car and that Brown was struck by a bullet in his back as he ran away, an account that Baden’s autopsy appears to contradict. Wilson continued to fire and Brown crumpled to the ground, Johnson said. Within seconds, confusion and horror swept through Canfield Drive. On that Saturday afternoon, dozens of neighbors were at home and rushed out of their apartments when they heard gunshots. One person who claimed to witness the shooting began posting frantic messages on Twitter, written hastily with shorthand and grammatical errors, only two minutes after Wilson approached Brown. At 12:03 p.m., the person, identified as @TheePharoah, a St. Louis-area rapper, wrote on Twitter that he had just seen someone die. A 10-minute video posted on YouTube appeared to be taken on a cellphone by someone who identified himself as a neighbor. The video, which has collected more than 225,000 views, captures Brown’s body, the yellow police tape that marked off the crime scene and the residents standing behind it. “They shot that boy cause they wanted to,” said one woman who can be heard on the video. “They said he had his hands up and everything,” said the man taking the video, speaking to a neighbor. Brown’s body remained in the street for several hours, a delay that Jackson said last week made him “uncomfortable.” Antonio French, a St. Louis alderman who has been active in this case, said on ABC on Sunday that the body had remained in the street for nearly five hours.